The time has come again for the Dealbreaker Tournament Challenge, your chance to win the fabulous prize of Director of the National Economic Council! Just kidding. 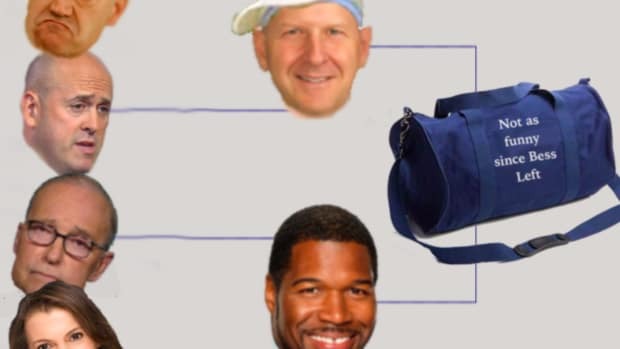 We&apos;re giving away a banker bag. But to be more accurate, this is your chance to not win it. After all, there can only be one winner, and it probably won’t be you, so unless you’re the eventual winner of this thing, sorry, and hope future you can look back and consider it to have been fun just participating. 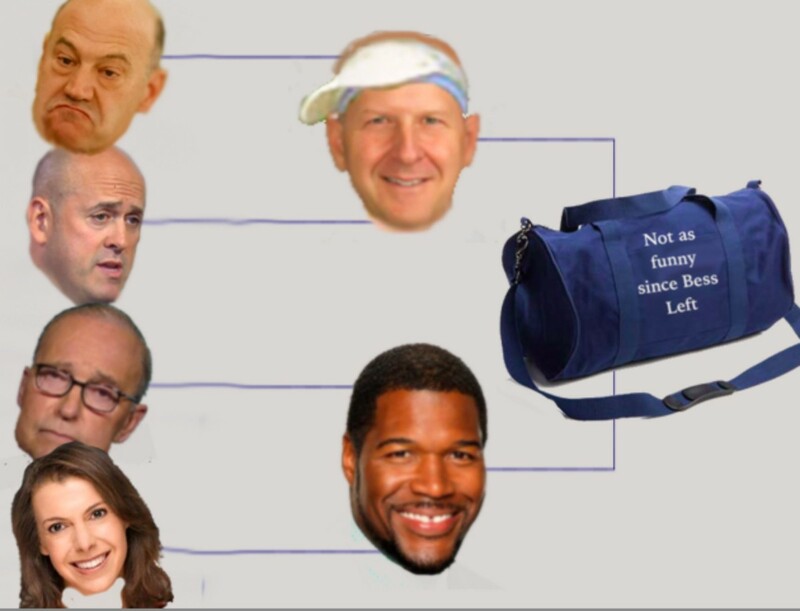 Even though all but one of you reading this is doomed to fail, it seems only sporting to offer some kind of a helping hand as you endeavor to fill out your almost certain debacle of a bracket, so let’s do that. First of all, it’s always important to look for trends. This year, two of the No. 1 seeds – Virginia in the South and Villanova in the East – start with the letter V, which also stands for victory, so you’re probably best off penciling those teams in as your matchup for the championship. Virginia may be a tough sell on this, as the Cavaliers are constant disappointments, but the next three seeds in the South are Cincinnati, Tennessee, and Arizona, all of whom are perfectly capable of finding ways to screw up at tournament time. Similarly, check out the West, which features San Diego State as the 11 seed and South Dakota State as No. 12. Might as well just go ahead and put SDSU into the Final Four, then. If you’re nervous about going with seeds that low, fine, hang your hat on the concept of “North Carolina,” because the Tar Heels are the No. 2 seed, UNC-Greensboro is No. 13, and NC Central faces Texas Southern in a First Four game for the No. 16 spot. That leaves us with the Midwest, where Penn is going to become the first 16 seed ever to take down a No. 1 when the Quakers wipe the floor with Kansas on Thursday in Wichita. Once one of the dominant forces of the Ivy League, along with the school which shall not be named in Central Jersey, it’s been a rough time of late for Penn. The last Ivy League title and NCAA bid for the Red and Blue was in 2007, since which time Cornell has made a Sweet 16 run, and both Harvard and Yale have won games in the Tournament. Plus – PLUS – the entire Penn community has had to live with the fact that the school is responsible for Donald Trump being able to call himself a college graduate. Penn was the last Ivy team to make the Final Four, in 1979, but it’s kind of hard to figure a 16 seed going that far, so just settle for the history of knocking out a top seed in the first round. Instead, the Final Four bid from the Midwest will go to Duke, because, after all, this still is 2018, and the universe still is punishing all of us. 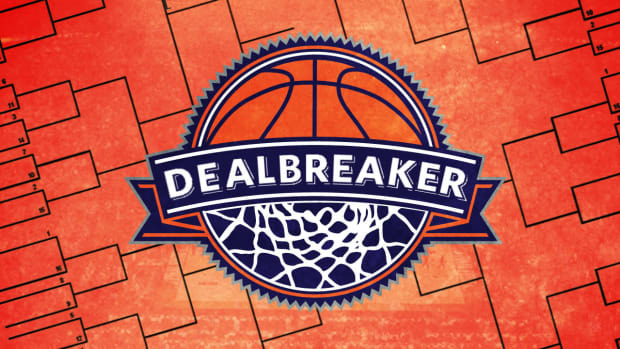 So, best of luck to everyone in the Dealbreaker Tournament Challenge. Get those brackets in, because you can’t possibly win the prize that you’re not going to win anyway unless you’re entered to win it in the first place! 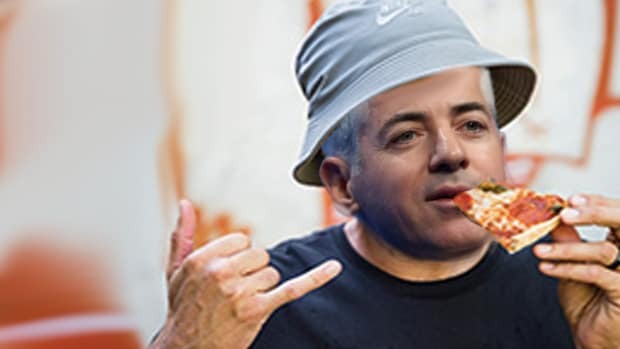 Some Jeffries analyst just admitted that Bill Ackman is indeed back...man.